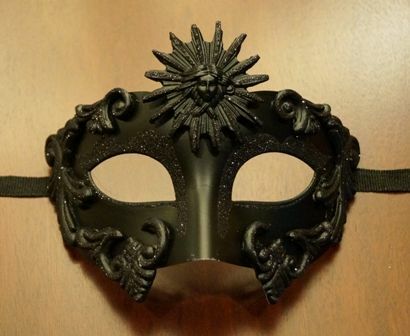 Great masculine mask for a masquerade ball. Solid black with black glitter detail. Made out of a lightweight , yet durable plastic mold. Easy to wear with the black ribbon ties attached.